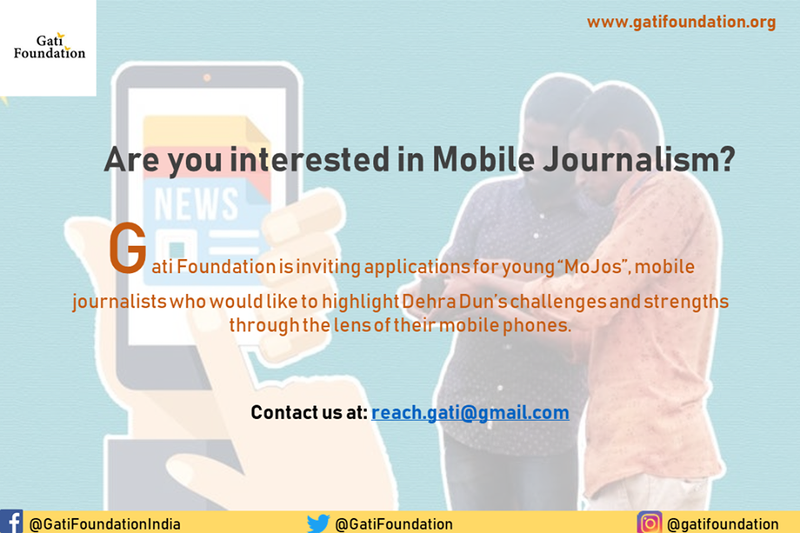 Gati Foundation is inviting applications for young “MoJos”, mobile journalists who would like to highlight Dehra Dun’s challenges and strengths through the lens of their mobile phones. The story of this fast-changing city needs to be documented through the eyes of someone who has a nose for news and can present to its citizens crisp and pertinent mobile reporting on what irks Dehra Dun and what makes it tick. 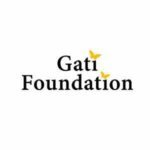 As Gati’s reporter-correspondent, you will get to travel around the city and report on various city issues. The reporting of these issues will be carried out through our social media channels such as Facebook, Twitter, YouTube and so on. Strong command over Hindi and English. Must know the basics of reporting and journalism. Must be aware of current affairs. Must know how to write articles in Hindi and English. Must be interested in writing and researching on local or regional issues. Must be willing to travel in an around Uttarakhand occasionally. Preference will be given to applicants having prior experience in this field. Kindly send your CV and a writing sample at reach.gati@gmail.com. You can also send your short video as a sample. Shortlisted candidates will be contacted by the foundation. For details, visit this Facebook page.